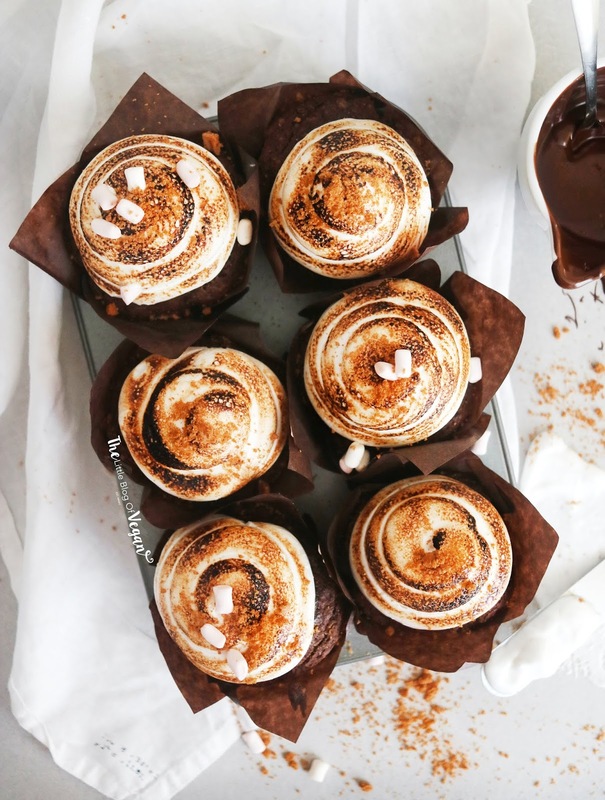 Rich chocolate cupcakes, with biscuit bases and fluffy marshmallow meringue toppings. Add a drizzle of dairy-free chocolate and cookie crumbles to finish off these decadent cakes. 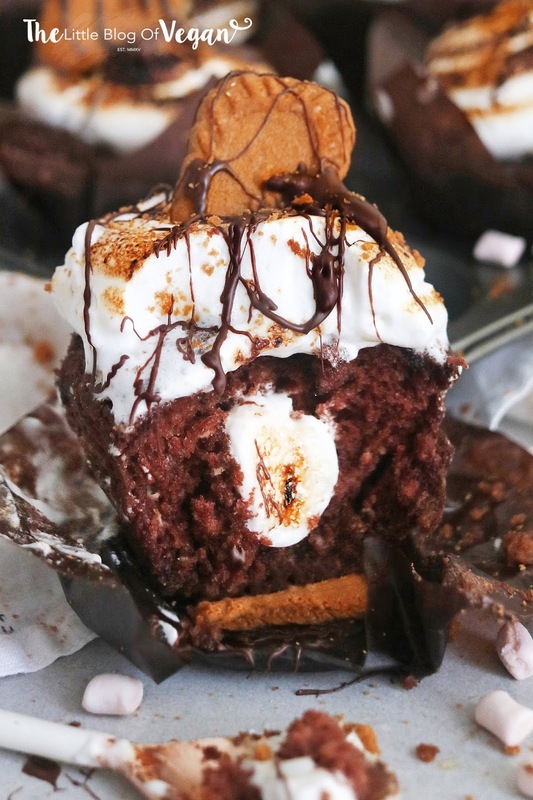 S'mores are an American campfire dessert that I took inspiration from to make these cupcakes and they turned out perfect- Y U M! Nothing beats a chocolate cake. These cakes are quick & easy to make and turn out perfect each time. The cookie base gives a nice crunch when mixed with all of the other textures works beautifully. The meringue frosting on top is great to toast. I used a blow torch to give them a classic burnt marshmallow effect. 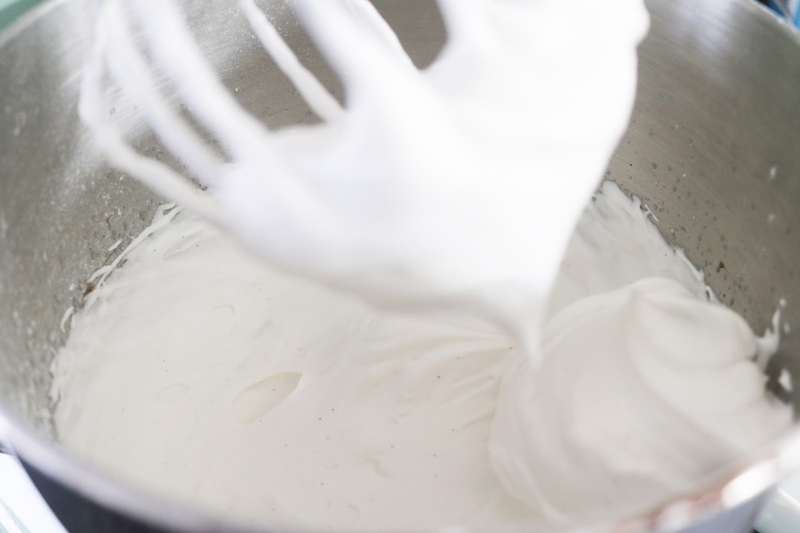 As 'classic' meringue contains egg whites, I use chickpea brine, also known as Aquafaba. Aquafaba is the best substitute when making vegan meringue- LOVE IT! 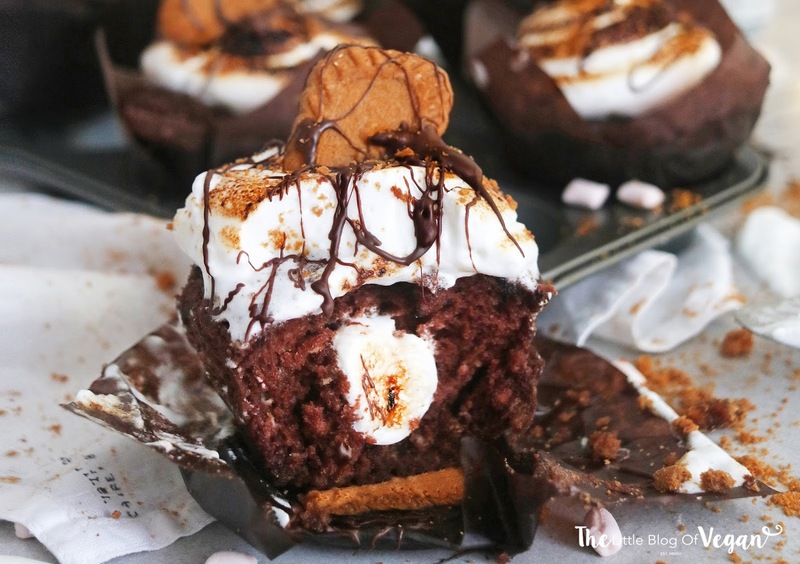 No campfire needed to make these treats, only a few ingredients and a hungry party of guests! Step 1- Line 2 cupcake trays with cupcake cases. Step 2- Add the biscuits into a food processor and whizz up until crumb-like. Step 3- Pour the crumbled biscuits into a mixing bowl. Step 4- Place the butter into a small saucepan on low and heat until fully melted. Step 5- Pour the butter mixture into the crumbled biscuits and stir until it resembles wet sand. Step 6- Add a tablespoon of the base mixture into each cupcake case, and press down until compact then set aside. Repeat for all of the cases. Step 1- Preheat your oven to 180 degrees c.
Step 2- In a small bowl, combine the dairy-free with the apple cider vinegar and whisk until fully combined. 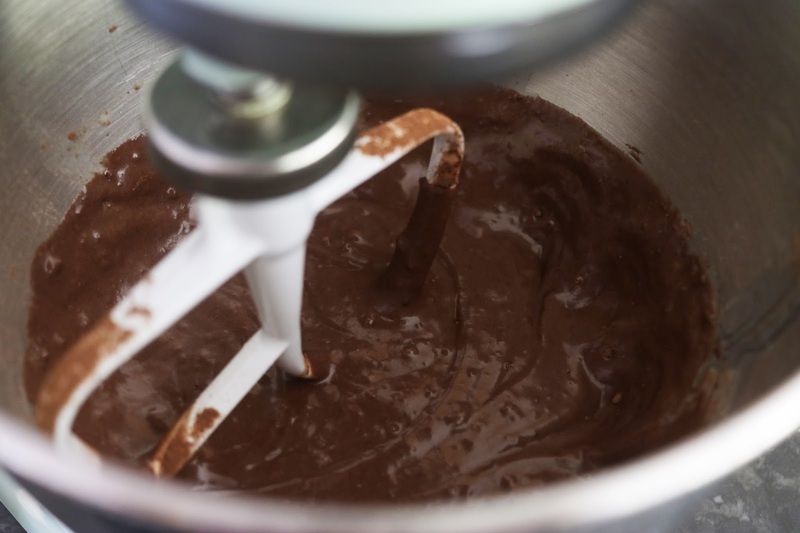 Step 3- In a large mixing bowl, sift the flour, sugar, cocoa/cacao powder, baking powder and bicarbonate of soda. Step 1- Drain the chickpea brine from a can of chickpeas and place into a bowl. Whizz up on high until foamy. I use my Kitchenaid stand mixer with the balloon attachment. You can use an electric hand whisk. Step 2- Add in the sugar and continue to whip up until stiff meringue peaks forms. Step 3- When thick & glossy, add in the vanilla and cream of tartar. Step 4- Pop the meringue into a piping bag fitted with a French patisserie tip nozzle. 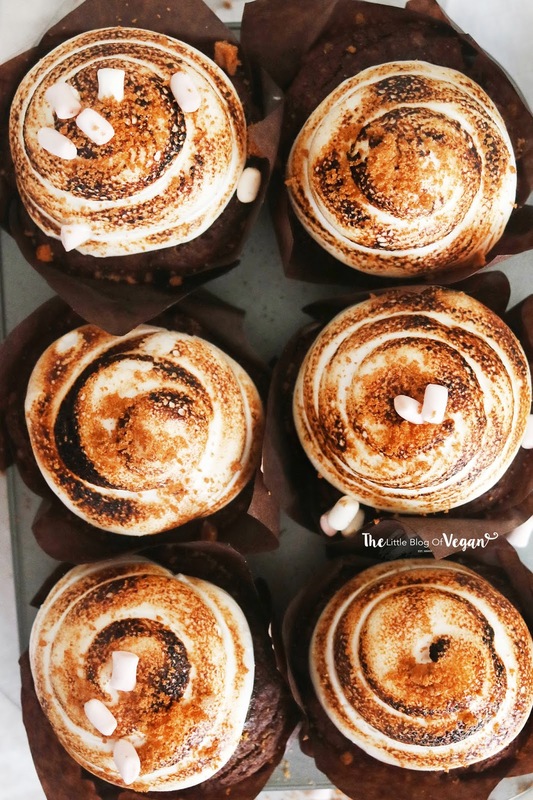 Step 5- When the cupcakes are cool, pipe a swirl of meringue onto each cake. 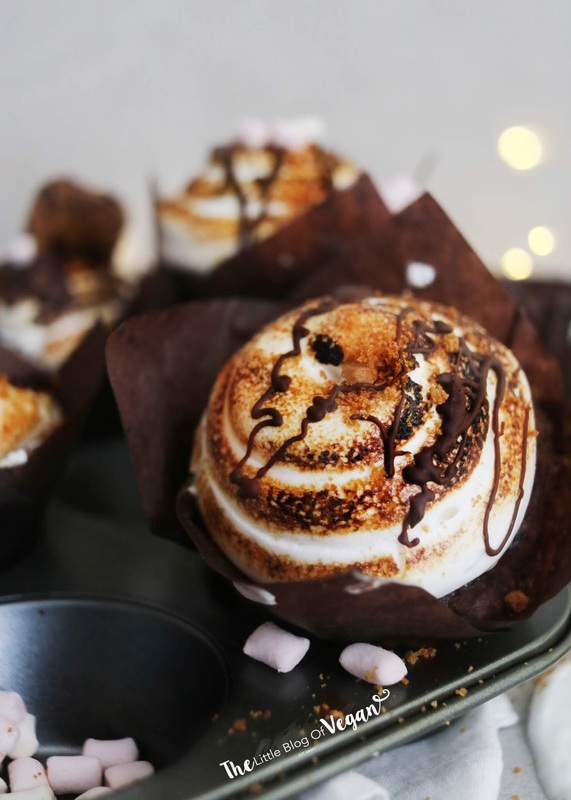 Top off with a drizzle of melted dark chocolate, vegan marshmallows and crumbled cookies. 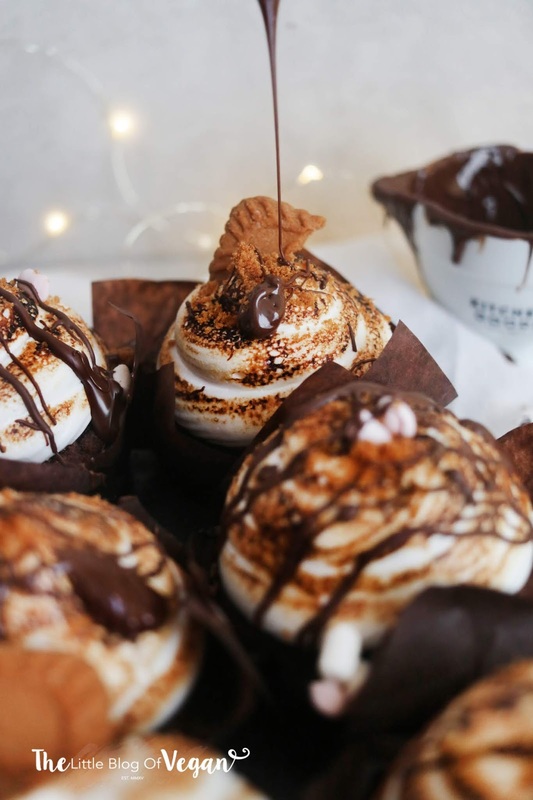 You could even toast the meringue. Serve fresh or store in a sealed container in the fridge. 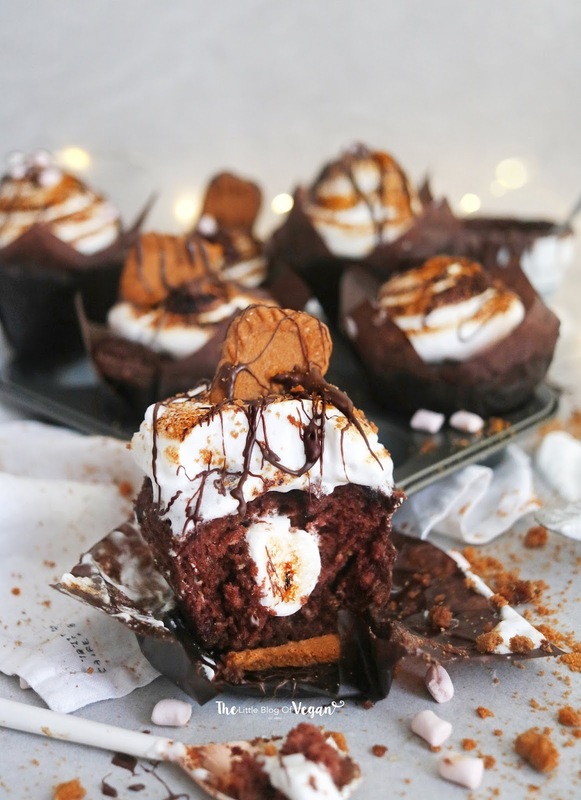 These cupcakes look soooo decadent and delicious! I love s'mores!